Waterline - Chase a summer trout! Weather plays a part in all types of fishing, not just River Fishing and like a stormy sea that can stop sea fisherman, a swollen river can halt or ruin the best of plans, for us river fishermen. Many of us know that when those river levels drop, there will be a run of Silver Steel Heads through the rivers. In autumn and winter I pray for rain and swollen rivers. I love the anticipation of knowing there are good numbers of trout in a river after rain. However we are moving into warmer months, where insects hatch and blow on warm breezes, to fall into a river and be eaten by big, hungry trout. Believe me I love that too! 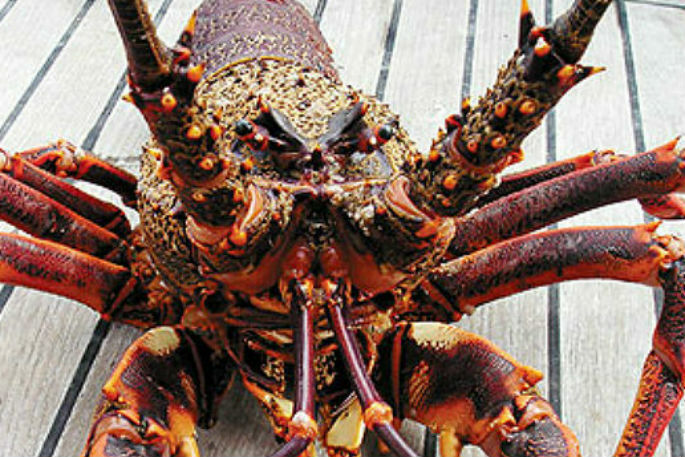 Many anglers believe Taupo only to be a winter fishery. Most of the old fraternity, wet liners, put their gear away over summer, to dust it off in April. The art of nymphing in the district has seen more angler’s fish rivers like the Tongariro over summer. We have a healthy tourism built around trout fishing in Taupo and many of the tourists visit Taupo and Turangi just to fly fish. Its summer reputation is starting to grow and so it should. I believe the summer fishing on all the Taupo rivers can be exceptional from spring all the way through summer. If you want variety of water all wrapped up with brilliant shore line fishing. Then Turangi and Taupo should be on your hit list! The Waitahanui is as cold as a Witch’s proverbial, even over summer. Its dense foliage all the way from the source of the spring, keeps it well hidden from the Sun. So when it enters the lake it is sitting around eight to ten degrees Celsius. Trout love this cold water as it contains more oxygen than lake water and attracts their main food source, smelt. This is a perfect place to throw a Green Woolly bugger or smelt pattern into the “rip”, where the river meets the lake. Pat Swift from Rotorua makes some amazing patterns, you definitely should have some of his in your box. Some days when it is hot and still and the river fish have gone down, fishing the Waitahanui Rip can be nothing short of brilliant. The river itself over summer can fill up pretty fast with brown trout. These can be frustrating as hell to cast too, as they lie dormant on the bottom like logs. My advice, is to change nymphs on a regular basis. Have something hairy, have a flash back, have something red and definitely have a Glo Bug. Change until you either spook them off, or you get sick of changing nymphs. However on top of the water is where it’s at, on the Waitahanui. The insect, cicada hatches are epic! I brushed through a small willow in the lower reaches one hot sunny day and was covered by about 100 cicadas, the tree erupted and they covered me. The ’Nui is crystal clear over summer and so spotting and casting to feeding trout can be a lot of fun. I really rate this river system over summer. The Hinemaiaia’s river mouth is fished exactly the same as the Waitahanui, except I use a floating line in the Hine. This is another cold river that attracts trout over summer because of the higher oxygen levels. The water level on the Hinemaiaia over summer can be very low and so I use a big dry fly with a short tippet, to a slightly weighted dropper. The weed in the Hinemaiaia can be horrible and this rig deals with that pretty effectively. This river gets a good rise in the evening, stay till dark if you can, you may be surprised at what is lurking there. This is a beautiful river to wade with a five weight and flick ahead. You can pretty much wade the entire river, bar one or two deeper holes and these are where I concentrate on dark. The Hinemaiaia gets a run of Browns a long way through it, not just in the lower reaches. Like their winter running cousins, Browns come into the Hinemaiaia after rain. The Tauranga Taupo is a tough nut to crack in summer. Having a decent false cast really comes into play on the TT over summer, when it is low and clear. Definitely fish the fast bubbly water on this Taupo tributary but also pay attention to those deep pools. A long leader of 12 feet and 3.8Ml of Tungsten gets a good drift when the TT is low. Any heavier and you will drag the bottom and false strike. The other option is a dry fly and longer dropper of maybe three feet. These rigs are not easy to cast with stealth, but can make the difference between hooking up, or spooking a good fish. You should visit the TT if there has been rain, the river level has come up, then dropped quickly. 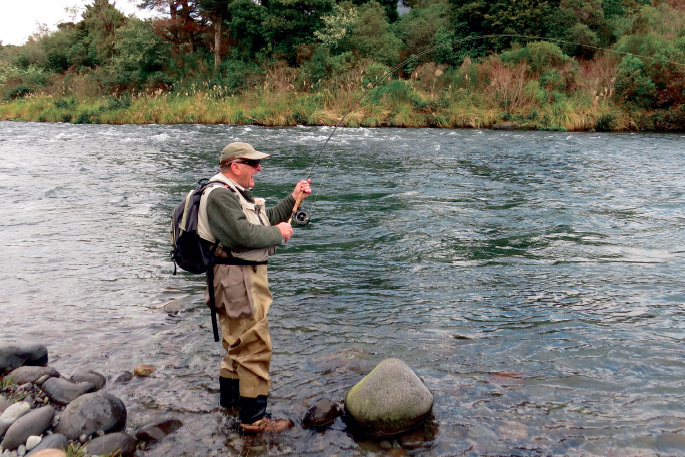 You may be very surprised at the numbers of trout this Taupo tributary can hold over summer. Then we have the Tongariro, a book in itself. Browns all the way through, over summer, with massive concentrations in the lower sections. Resident trout throughout summer, who I believe come into the river for the food and oxygen it provides in the warmer months. Once they are in the Tongariro system, why would they want to leave? The 2018 winter season was very slow to kick off and I believe there are still large numbers of trout aching to enter our rivers, no more so than the Tongariro. This river enables an angler to wet line, nymph or just use a dry fly, over summer. It is large enough to wet line anywhere through the system, with a slow sinker and Green Woolly bugger. This can be used all day but first thing in the morning can result in massive battles with the large Browns lurking deep. The Rainbows love smelt patters in the Tongariro over summer. I will quite often Nymph up a run, get to the top, switch over to an intermediate sink tip and a 4 foot tapered leader with a Green Woolly bugger and fish back down. Those hits you get are pretty addictive. Using a dry fly and dropper for those trout in shallow water can be very effective. If you want a bit of fun, then throwing a size six cicada pattern into some fast bubbly water, having it scoffed down then twenty feet of line disappearing through your guides, is just for you. The Tongariro is an epic river and well deserves it name throughout the world. Summer is a fantastic time in Taupo if you are into chasing trout, make sure you get down here at least once this summer and try it out, you will be hooked, (see what I did there). Go to to www.taupofishing.co.nz for nymphs that catch trout.